After the “God knows from when” sabbatical from everything fruitful on earth I am back with a blog post. I had ‘promised’ myself to be consistent with my blog, but I guess I prefer breaking promises made to myself much more than anyone else. The perpetually disoriented and unmotivated Madhubani Chakraborty has been pretty busy these days due to the new job and surprisingly I quite like it so far. Hopefully with this new project will come new experiences, new ventures, new challenges and I wish I would also be able to regain my lost interest in blogging or writing in general. Anyway, coming back to today’s post. This is a look post for the upcoming Valentine’s Day. 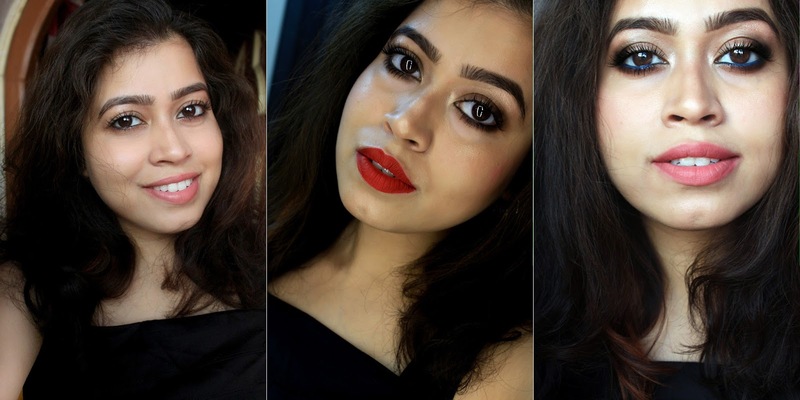 The last two years I did dramatic and glamorous looks for Valentine’s Day, but this year I tried to do two simple looks which are basically morning to night transformations. 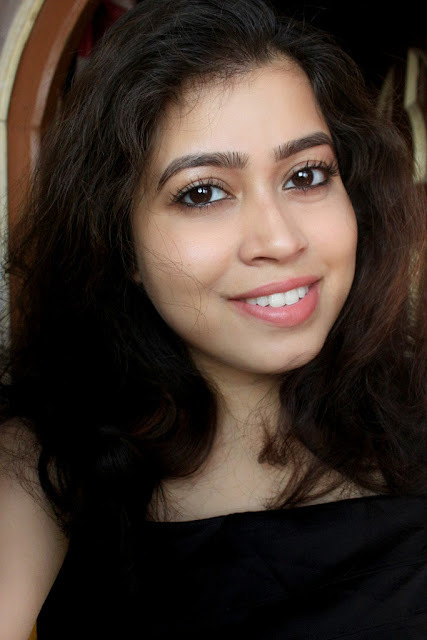 I guess this post will be great for people like me who have to go to work or college during the day and can’t come back home to quickly amp up their look for a date night. These are super duper easy to create and with minimal products so you don’t have to carry your entire makeup collection with you. Just 5 small changes from your daily daytime look and you are good to go. 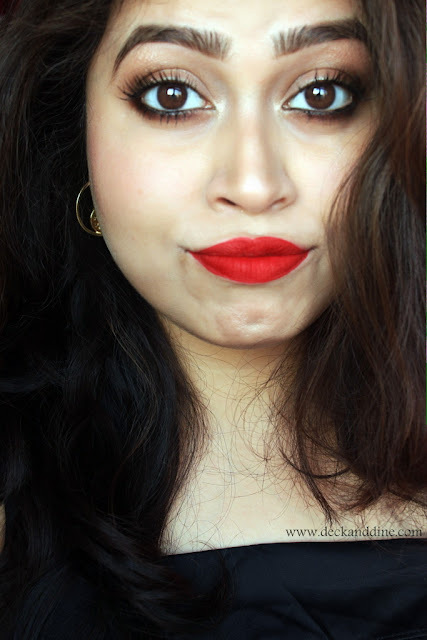 If you want full glamorous Valentine’s Day makeup then you can click HERE and HERE. So without wasting any time further, lets get into the details of today’s post… Heres to getting date ready within minutes. This is basically me on my working days. I don’t really like tons of makeup on a daily basis and thus my daily look consists of a moisturizer, sunscreen, kajal, mascara and a light colored lipstick. Sometimes I even skip the kajal. 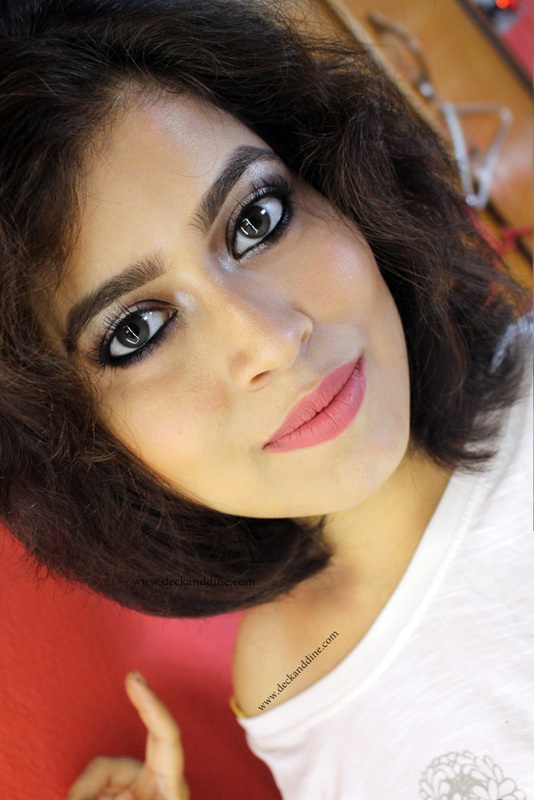 Gone are the days when I even used to wear kajal while going to the neighborhood grocery store. Apply moisturizer and quickly dot foundation on your face and neck. Blend well. 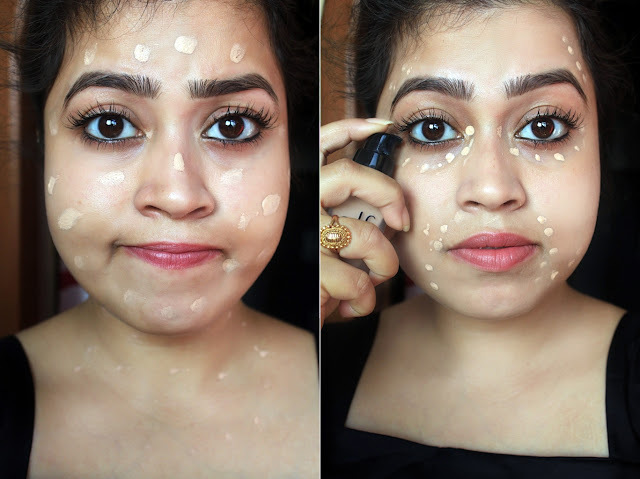 As I am not carrying concealers, I just donned some more foundation under my eyes and around my lips and side of forehead to even out the pigmentation and darkness) The reason for carrying a matte foundation is that as the weather is relatively cool you can easily skip a setting powder if your foundation stays matte. 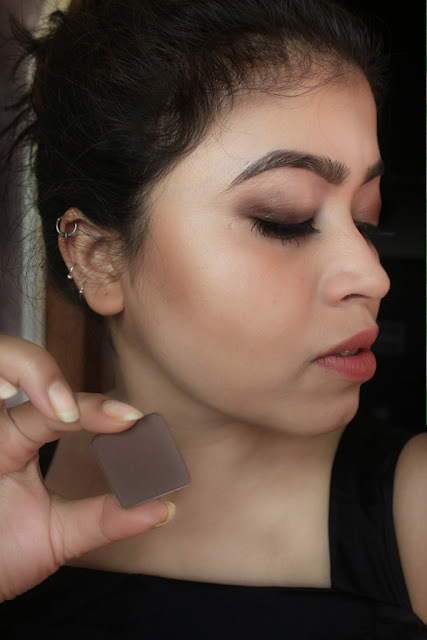 If you have excessively oily skin even during winters, then you have to carry a compact. A matte brown eye shadow is truly versatile. Taking the matte brown eye shadow apply it on the outer corners and creases of your eyes to add depth. Also I brushed some on my lower lashes to smudge the reminiscent of my morning kohl. I also used the same brown eye shadow to do my eyebrows and to contour as well. I generally avoid contouring or bronzing, but as this look is a simple one I tried contouring to elevate the look and make it a little more dramatic. 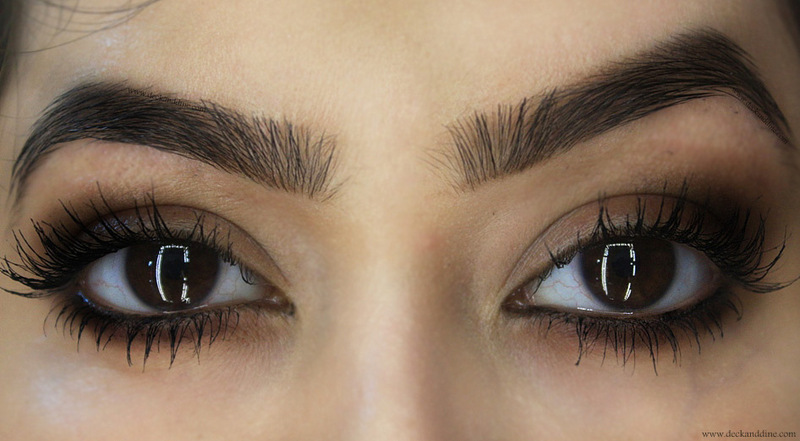 Apply tons of mascara to round of the eye makeup. Apply a bit on the tip of your index finger as well. Make sure there is not a huge blob of mascara on your finger tip, just a little bit. Now dab it on the outer corners of your eyes. Keep on dabbing and smudging unless everything is well blended. Do the same on your lower lash line as well. Now take out the wand and go over your lashes. Add a few coats to add drama. You can add false lashes as well if you want to. Now time for blush and lipstick. 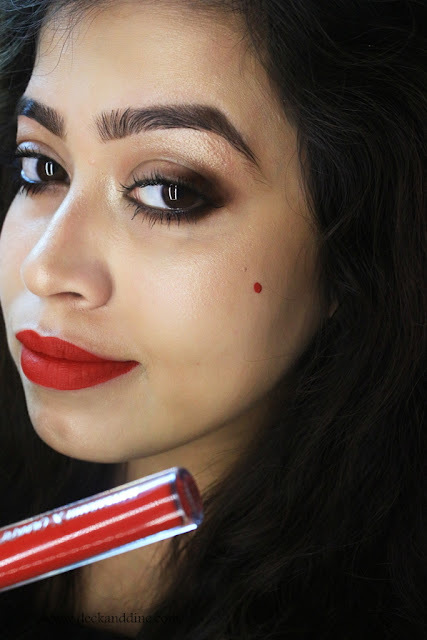 I used dots of the lipstick on my cheek, blended really well for that flush of color. No need to carry that extra blush with you; your lipstick will do the trick. 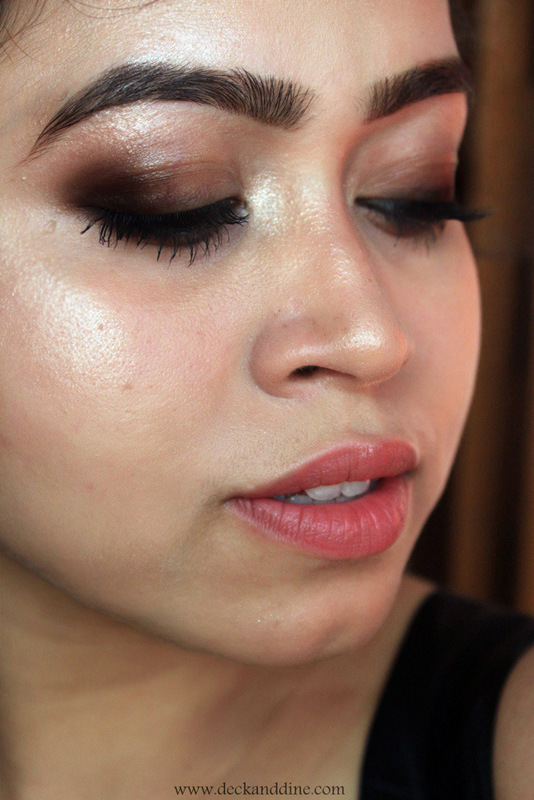 Finally apply highlighter on your cheekbone, nose-bridge and chin. Highlighters can really bring out your features and give you a healthy glow. This finishes our LOOK 1. Same as above, just a colored eye pencil added to that list. I chose blue. Follow STEP 1, STEP 2 and STEP 3 from TRANSFORMATION 1. Now line your waterline with the colored pencil. Color pencils can spice up your look instantly. Follow STEP 4 and 5 of TRANSFORMATION 1. That rounds off the LOOK 2. Being an eye makeup lover, I personally will prefer the look 2 more. 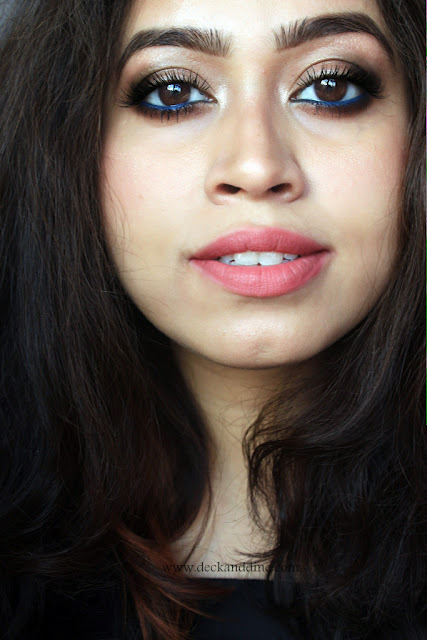 The colored liner on the lower lash line takes the look to another level. Both the looks are glamorous, yet super wearable. 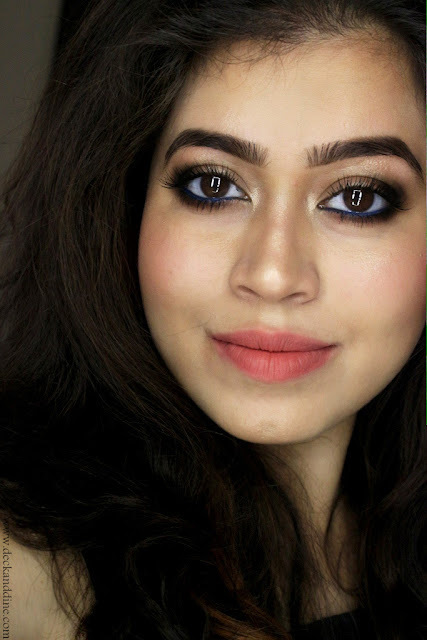 They are easy to create and even beginners can recreate these looks with ease. 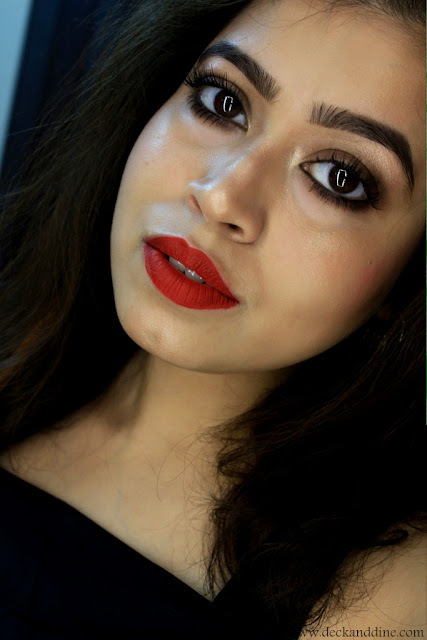 You are rocking that red lip, and I have SERIOUS eyelash envy! Love the lippie on Transformation 2 as well. Beautiful looks - all doable and didnt require tons of products! Your eyelashes are incredible. I barely have lower lashes but I do try to play up my top ones. I never thought to put some mascara on the tips with my finger, I'll try that. All of these looks are so great! You rock a red lip like no one else. Beautiful!